Kiwi Seeds was created in the late 90's as an attempt to save some of the fast disappearing 'old-school' genetics once the main-stay of the South Pacific marijuana seed industry. New-Zealands main crop up until the 1990's was a blend of cannabis genetics, mainly sativa, and Haze types bought back during the 70's by travelers returning from country's such as Mexico, Thailand, Vietnam, India, Burma and Cambodia. These plants were typically, fast growing sativas that flourished in N.Z's warm/wet climate and long autumn periods. During the 90's many of the better marijuana strains were bought back to Holland and introduced to the indoor environment. Using these old-fashioned sativa cannabis genetics, combined with high yielding Indica cannabis types developed in Holland. 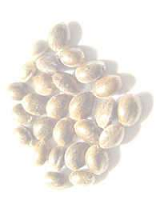 Kiwiseeds was born offering a range of F.1 hybrid and true-breeding cannabis seed. 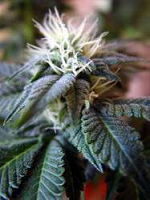 All kiwi marijuana seeds come with a guarantee of over 90% germination.